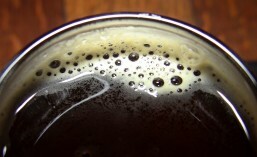 Scotch Ales are a style the often gets overlooked by your average craft beer drinker. They aren’t as prominent out there as Pale Ales, Stouts and, of course, IPAs, but if you enjoy a robust, malty beer that’s perfect for this chilly Fall weather we’ve been having, then give a Scotch Ale a try. There are a few local breweries that make some excellent Scotch Ales, and one of my favorites is the award winning Second Sight Scotch Ale from Black Raven Brewing Company (CBM Sponsor). As good as Second Sight is, however, it gets even better when Black Raven ages it in Bourbon Barrels and christens it with the name of Splinters. Back in late September, I told you about a beer tasting dinner cruise with Waterways Cruises And Events, featuring beers from Two Beers Brewing Company (CBM Sponsor). My wife and I were scheduled to go on this cruise, but an unexpected schedule conflict meant that we had to cancel. Hopefully, some of you out there learned about the cruise here and were able to take advantage of it. For those of us who missed the last cruise, now is our second chance. Coming up on Friday, December 2nd, Waterways Cruises And Events is hosting another dinner cruise on Lake Union and Lake Washington. This cruise will feature beers from Pike Brewing Company. Bottle releases have become a pretty big deal in the Seattle area. It feels like just about every other weekend, there’s a new release (or several) coming out at one local craft brewery or another. Fremont Brewing Company has definitely had their share of sought after releases, including their recent release of The Ancient One series (Dark Star & B-Bomb versions). I heard the line for those bottles started as early as 4:30 am. Your possible adverse feelings about standing in line for a beer release notwithstanding, the time has come to let you know that Fremont Brewing will be releasing the 2016 Version of B-Bomb in just over one week on “B-Bomb Friday”, November 25th. My craft beer World was rocked recently by the news that Firestone Walker Brewing Company was going to be retiring their Proprietor’s Reserve Series of beers, which includes one of my all time favorite IPAs: Double Jack. As dismayed as I was by the news, the announcement actually follows a trend that seems to be taking hold in the craft beer World. Perhaps you’ve heard the term being thrown around out there: The death of the flagship. It seems, if you want to remain popular and buzz-worthy in today’s craft beer World, you can’t just rest on your brewing laurels. The breweries that are garnering the most attention and publicity are those who are constantly coming out with something new. Well, if you want to brew something new, that means you often have to stop brewing something old. There are lots of great craft breweries in the Seattle area, and many of those breweries were founded by people who started off as homebrewers before making the leap to professional brewer. Adam Robbings, founder of Reuben’s Brews is one of them. As a call back to Adam’s homebrewing roots, Reuben’s Brews has announced a homebrew competition as a means to help inspire other homebrewers to chase their own brewery dreams. The winner will receive a cash prize but, more importantly, will brew their winning homebrew with the crew at Reuben’s Brews and see their beer on tap at Reuben’s and in limited distribution around the Northwest. So fire up those brewing kettles and bring out your very best homebrew recipes, because (in my best Ryan Seacrest immitation) this… is Hop Idol! Winter doesn’t officially start until December 21st, but with our continued rain and lower temperatures, it almost feels like it’s here already. Chainline Brewing Company doesn’t mind though. In fact they’re all set to welcome Winter early this year and are even throwing a party to mark the occasion. Coming up next Saturday, November 12th, Chainline Brewing is hosting their first annual Welcome To Winter party. Themed: “Bitter Is Coming”, this event will feature a raffle, food trucks and seven new beers created just for this event. That’s right; seven.